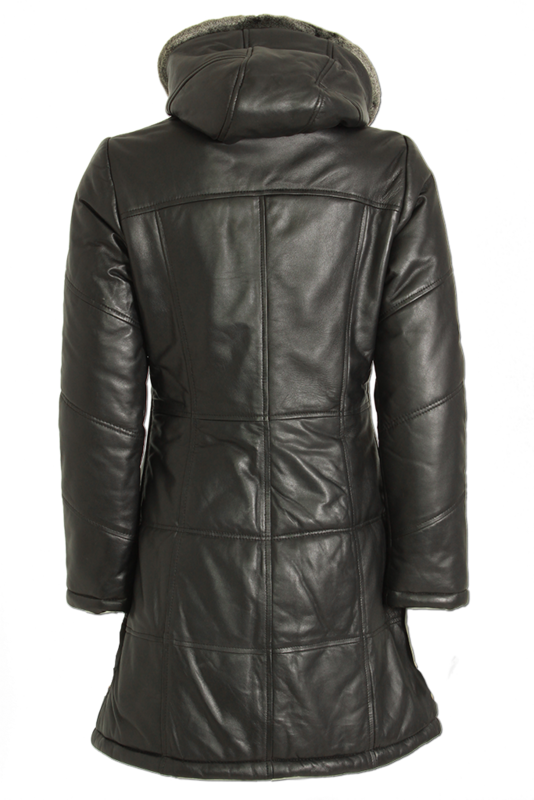 Carrie is our new padded leather coat. 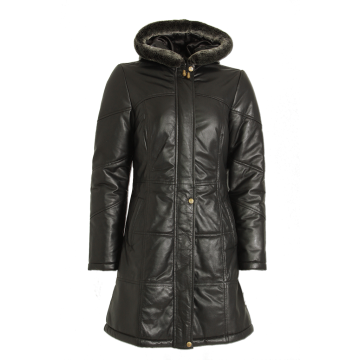 Velvety Spanish Lamb skin with padding, hood with fur, 2 simple front pockets below the waist and panelling details is versatile and light weight but durable. 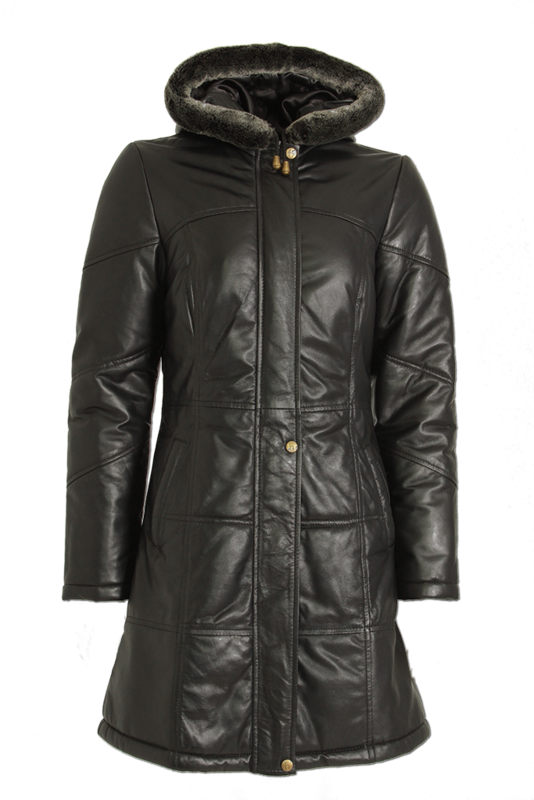 Perfect for raining,snow&cold weather.